Are There Any Terrorist Groups Who AREN’T Paid Foot Soldiers for the U.S. Military-Intelligence Agenda? Let me see if I have this right, because it’s getting really hard to keep things straight these days. 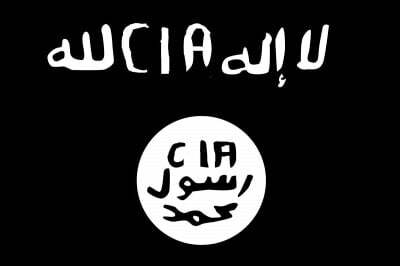 In fact, ISIS is reportedly a joint effort created by the intelligence agencies of the U.S., United Kingdom and Israel, as ISIS leader Abu Bakr Al Baghdadi reportedly received military training from those three agencies as per recent Edward Snowden revelations. Worse, as reports uncovered by Tony Cartalucci showed, “the U.S., Israel, and Saudi Arabia had planned as far back as 2007 to specifically use sectarian extremists to overrun and overthrow Syria.” ISIS, by the way, is the same group who are now crucifying Christians in Iraq. 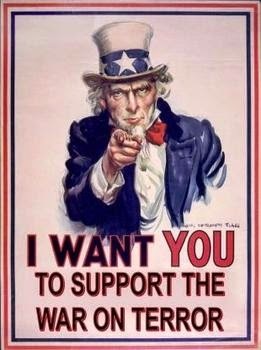 It is also on record that the U.S. government gave Bin Laden a $3 billion investment to create the terrorist network Al Qaeda — the same Al Qaeda we’re supposed to believe “did 9/11″ but also the same Al Qaeda the U.S. helped fund and put into power in Libya to overthrow Gaddafi and who ultimately killed our Ambassador and three other Americans there. The U.S. government, along with Israel, also helped create Hamas as a counterweight to the secular nationalists of the Palestine Liberation Organization. And currently the U.S. government is financially backing the Ukrainian soldiers who are “cleansing” the “parasites” the U.S. government and media refers to as “pro-Russian separatist terrorists” (which are really just people who don’t vote the way our government wants them to in more recent Ukrainian elections) after a military operation where the U.S. put a controlled billionaire globalist puppet into power in Ukraine. But we’re supposed to believe what our government says about Russia’s involvement in shooting down Malaysian flight MH17, right? Because they don’t have a vested interest in pointing the finger at Russia, right? Oh, I almost forgot. The Obama Administration also handed out $1.5 billion to Egypt’s military (which all ultimately ends up in the coffers of U.S. defense contractors) a few years ago when the country was under the control of the Muslim Brotherhood. Here’s even a story about how one of the biggest banks in the United States, Wachovia (now owned by Wells Fargo), helped launder hundreds of billions of dollars for the murderous Mexican drug cartel Sinaloa. These are all terrorist organizations that commit horrific atrocities against humanity. So I guess the question is: can anyone name one major influential terrorist group on the world stage today who aren’t ultimately paid foot soldiers of the Western military alliance for a carefully staged military-intelligence agenda?